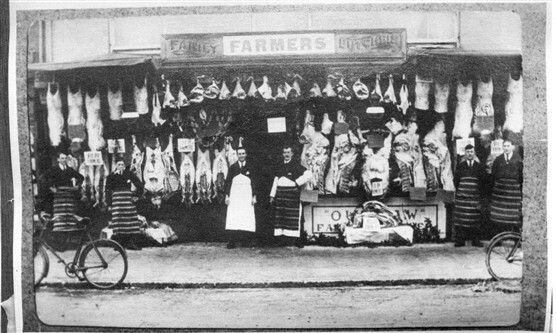 This is a photograph of FARMER’s butchers shop in the main street, Berkhamsted. It shows the staff, which includes my grand father on the far right, standing in front of the shop with a complete display of wares. I think this was usually done at Christmas time. I believe it would be about 1930. This page was added on 17/11/2010.